CBS knows a thing or two about making procedurals, and now it’s picked up two more standout—well, as standout as something can be where roughly the same thing happens each episode—shows. Deadline reports that the network has given series orders to the MacGyver reboot and Bull, a show based on Dr. Phil McGraw’s early career as a trial consultant. The MacGyver reboot comes from The Conjuring and Furious 7 director James Wan, original series producer Henry Winkler (yeah, that one), and writer Paul Downs Colaizzo. The show will serve as a prequel to the original series, showing how twentysomething Angus MacGyver is recruited as a secret agent and gains the skills necessary to do things like fashion a working helicopter out of four nickels, a KitchenAid mixer, and his own giant hair. Bull was written by Dr. Phil and Homicide: Life On The Street creator Paul Attanasio, and will focus on Dr. Phil’s early days as the head of a successful trial-consultation service, before he became the televised misery pimp we all know today. 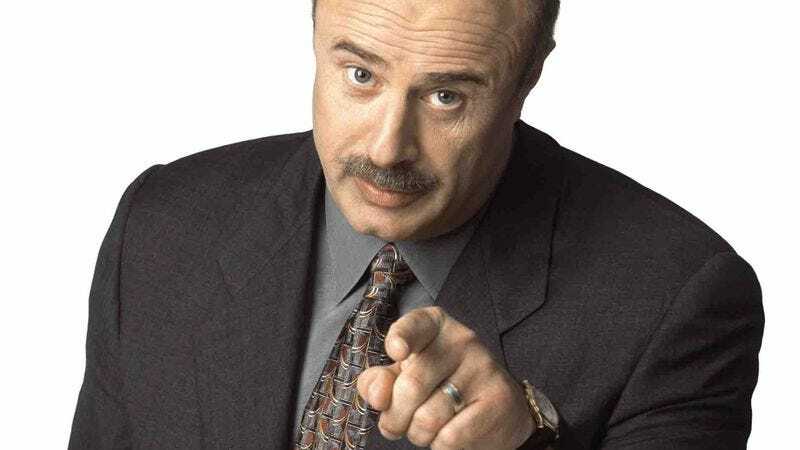 Dr. Phil recently renewed his contract with CBS TV Distribution to continue his talk show through 2020, so look for that relationship to keep paying dividends. Perhaps CBS will also commission a love story about Dr. Phil meeting his current wife and then building a model marriage, or maybe a coming-of-age story about being the only bald kid with a bushy mustache in fifth grade. Woe is he who does not absorb every lesson of Dr. Phil.